Centuries after its creation, chess is still one of the most popular and often-played strategy games in the world. Many enthusiasts love the traditional rules of play, but some skilled players like to branch out. People who feel they have mastered chess can find ways to challenge their strategic thinking and maybe even make themselves stronger competitors when they return. Chess purists who avoid alternatives to the basic game should realize that changes have already taken place. Traditional chess in its modern form is different from the version people played 1,500 years ago. Many believe that chess evolved from an ancient Indian game called Chaturanga. Some believe that Chaturanga itself was based on an older Chinese game. In any case, the rules of modern chess have been the same since about the 15th century. At that time, Southern European players adapted the pieces to make them more relatable to European, medieval citizens. A reduction in the number of players and some rule changes also took place. Courier chess, a similar game with a larger board, was a 12th-century predecessor. Some changes apply not only to the rules or to the players but also to the look of the board itself. Circular chess uses a round, four-ringed board. Infinite chess has an open-edged, larger board that includes some new pieces and rules that vary with the person who introduces the game. Hexagons, spheres, and crosses are just some of the board shapes developed. One of the most popular recent adaptions to the chess board uses an imagined design from the mid-19th century. The idea for 3D chess was based on the plans created in 1851 by chess master Lionel Kieseritzky. The German expert designed Kubikschach, an eight-layered chessboard with 512 spaces. The board idea was adapted over time and eventually became a part of pop culture when Star Trek set designers used their own version in the show. It is possible to buy replicas of the TV version that come complete with the rules of play, but many people prefer to use the online or other electronic versions instead. Many of the uniquely shaped boards still rely on the standard rules of chess. Changes only take place as needed to accommodate the shape. Some games use standard boards but change the rules. Bughouse, for example, uses teams instead of individuals and allows players to hand captured pieces to teammates to put back into use on the board. For example, to win at loser’s chess, the players must have all their pieces captured first. Chessboxing gets physical, with three minutes of boxing after every four minutes of gameplay. In absorption chess, also called cannibal chess, the pieces gain the movements of every piece they capture. A drinking game where alcohol-filled shot glasses replace the figures on the board also exists. Pieces come in different varieties too. One chess game on the market today includes pieces that separate and connect to others to make absorption chess easier to play. Twenty-first century chess adds in a couple of pieces called barons or cardinals. The addition of the new figure means players must also invest in a larger game board. Some adaptions do not change the names of the existing pieces or how they move. The changes are used to make the set more visually appealing. Examples of this include acrylic pieces on a lighted board or Civil War–themed sets with uniformed soldiers. 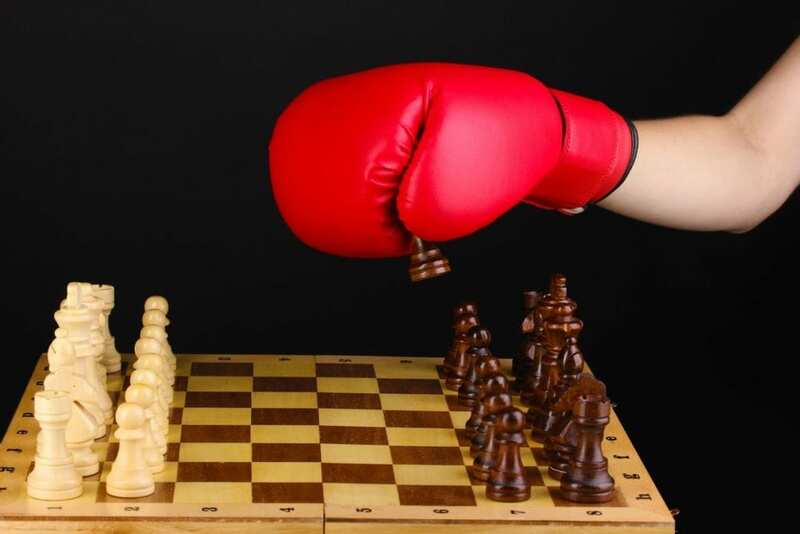 A clever strategy is still the key to success in chess regardless of the look of the board, the appearance of the pieces, or the accepted method of gameplay. At Chess Teacher, we can help you to understand the rules of traditional chess and to discover how to strategize your way to victory. Contact us today for more information about our online lessons.